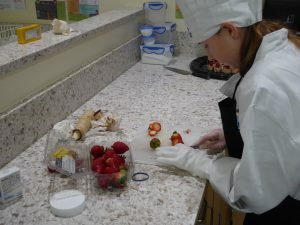 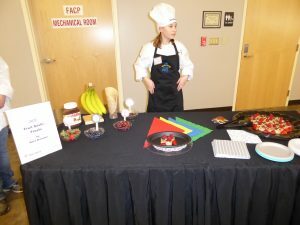 Sodexo provided all the raw food ingredients as well as the kitchen stations and cooking utensils. 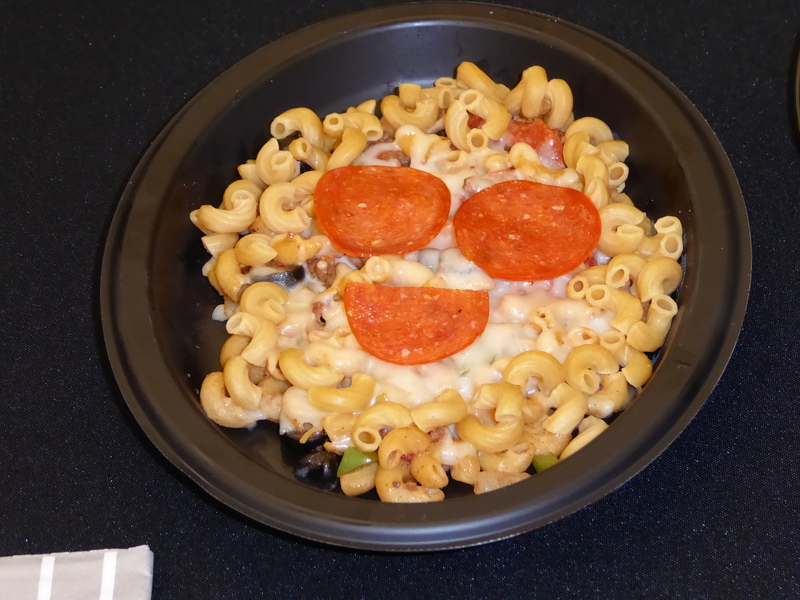 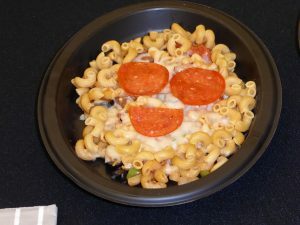 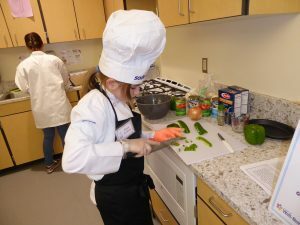 Each child was accompanied by a food service employee who ensured that cutting was done safely, the proper sanitary measures were maintained and, if applicable, foods were cooked to the proper temperatures. 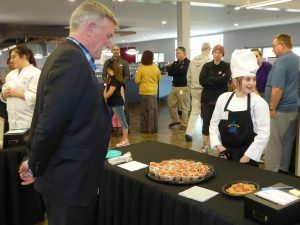 The following students were among the finalists. 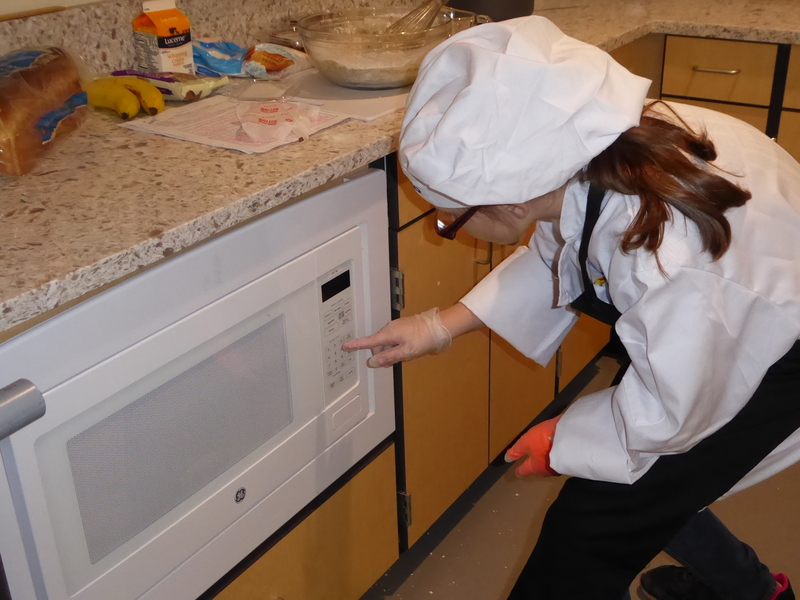 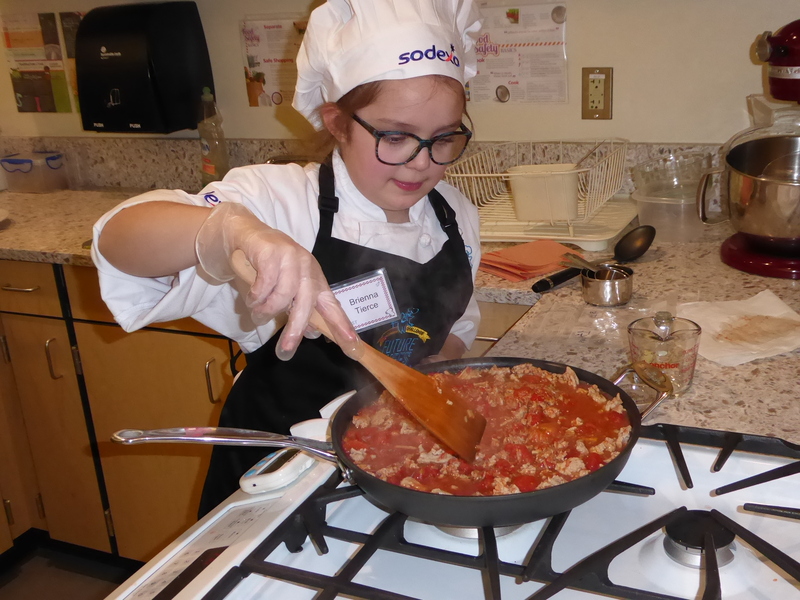 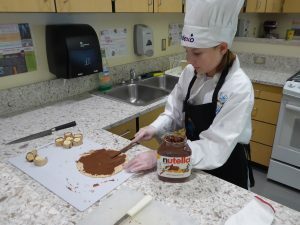 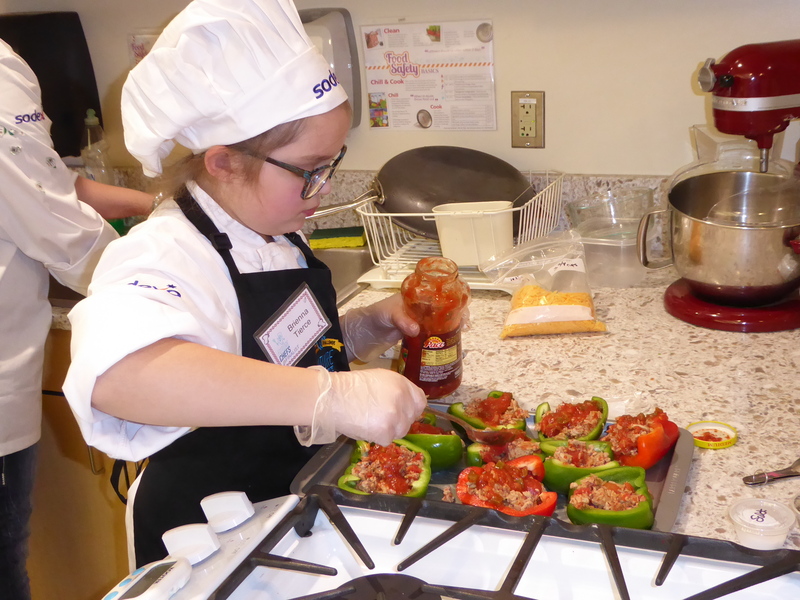 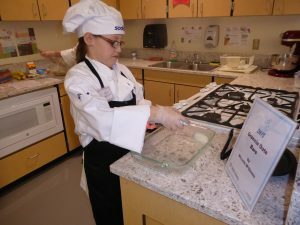 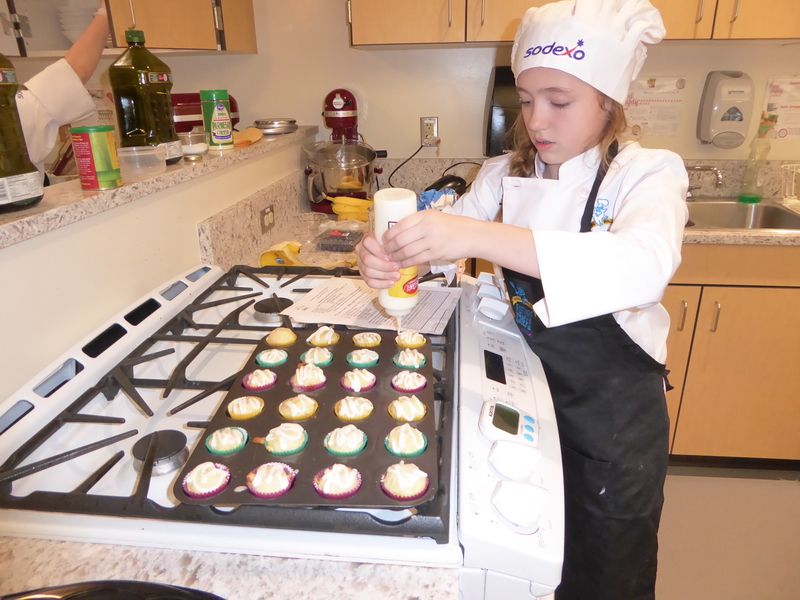 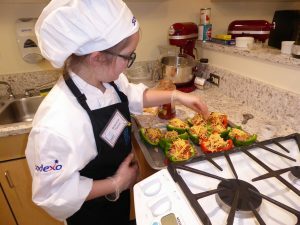 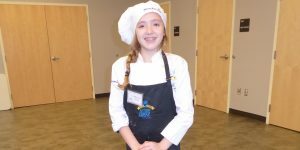 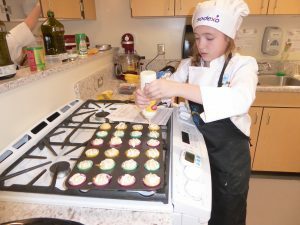 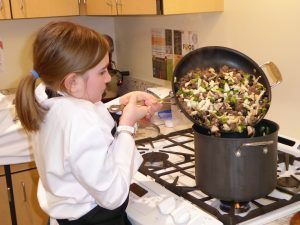 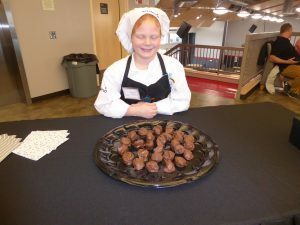 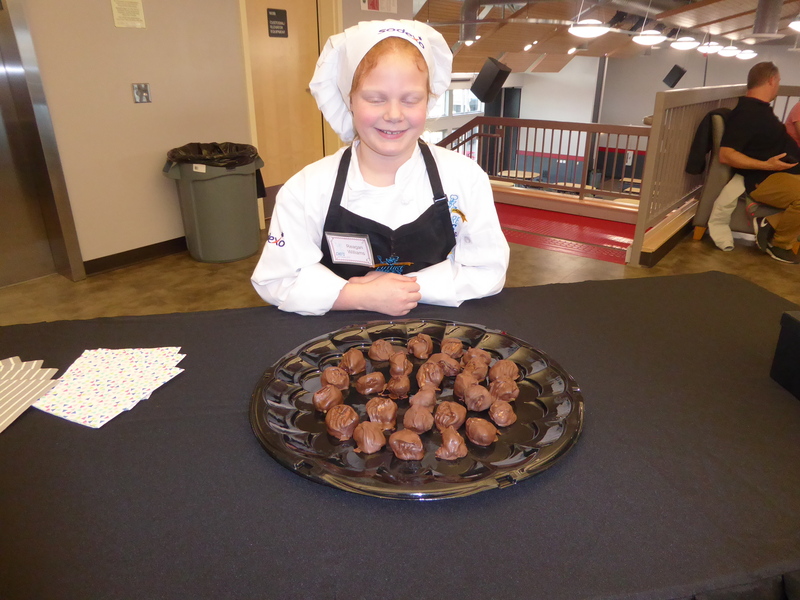 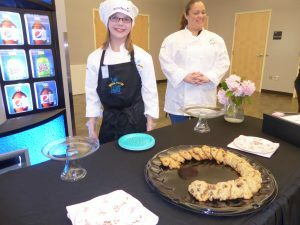 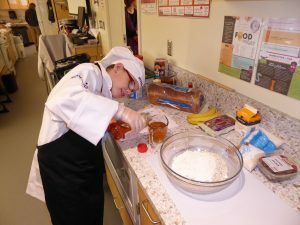 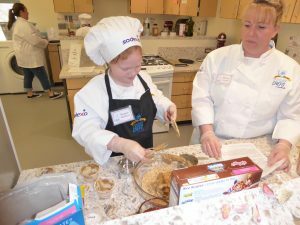 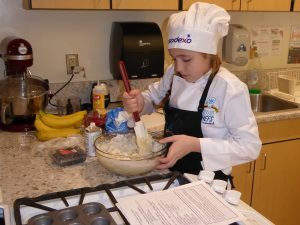 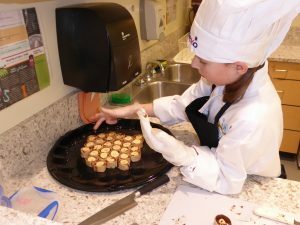 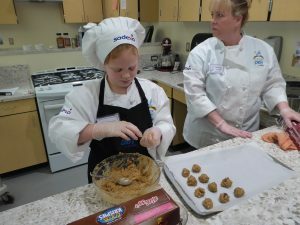 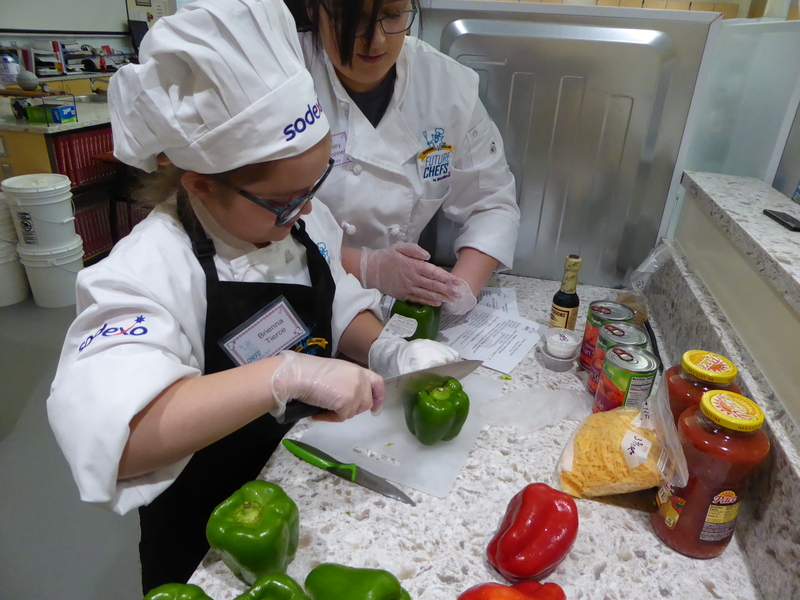 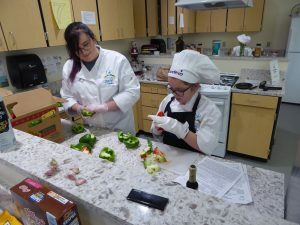 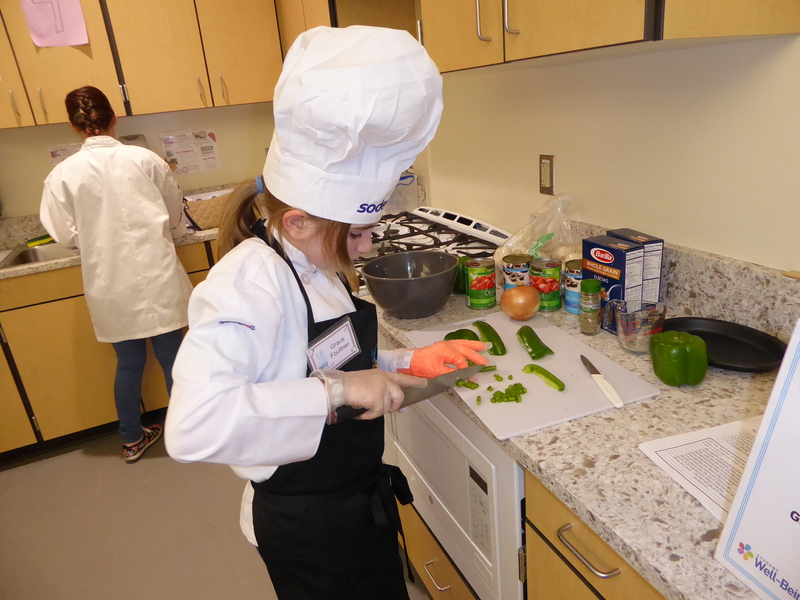 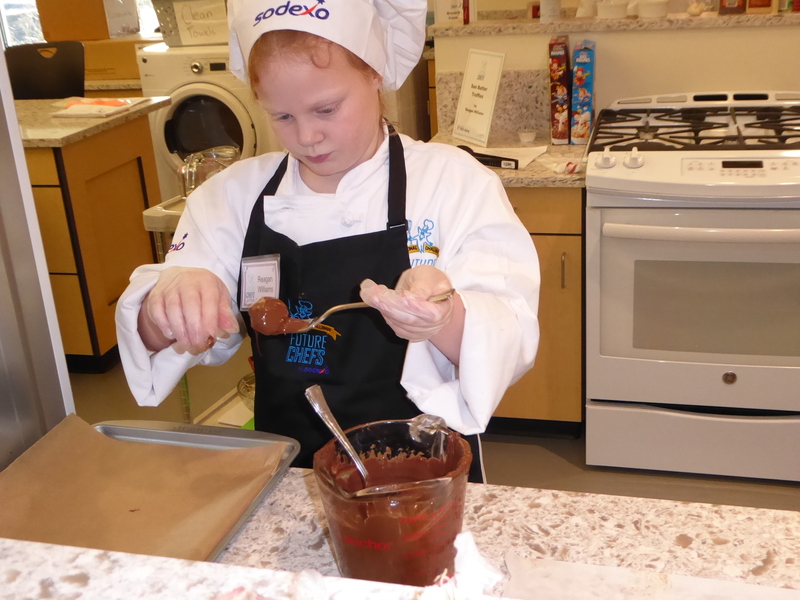 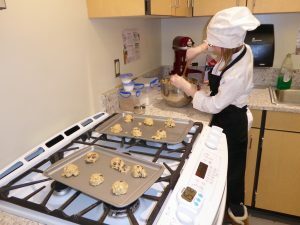 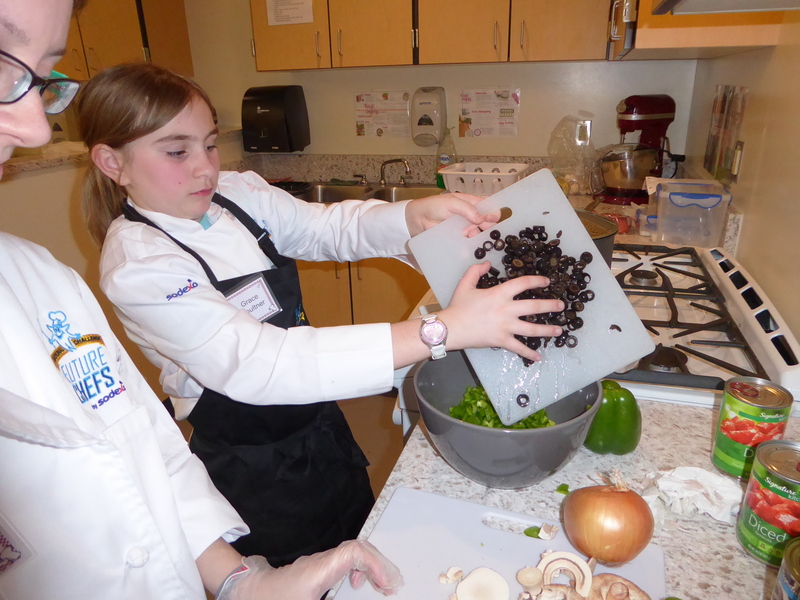 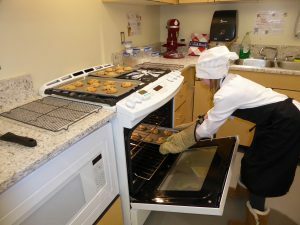 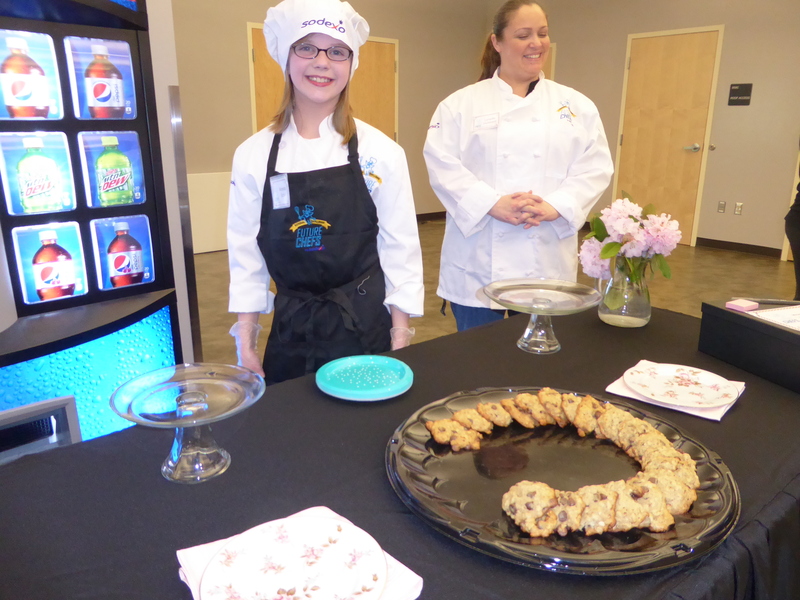 Alyson Thompson of North Albany Elementary was one of the eight finalists in the Sodexo Food Service Future Chef competition. 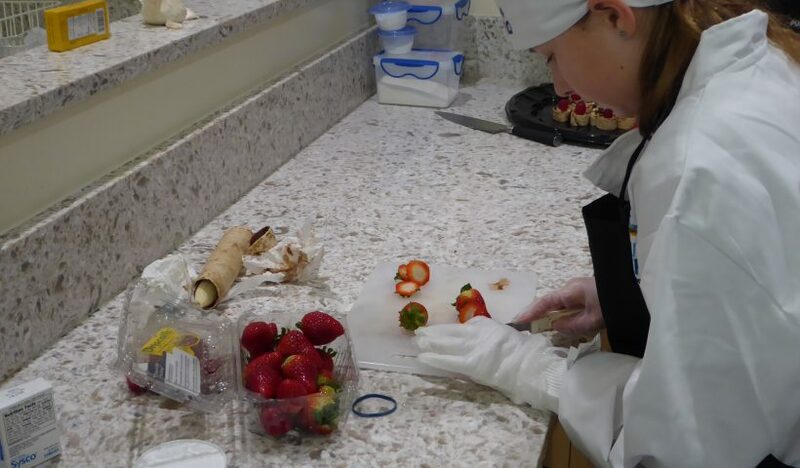 Her creation was entitled “Greek Turkey Sliders.” The orange glove on her left hand in photo three is a cutting safety glove.